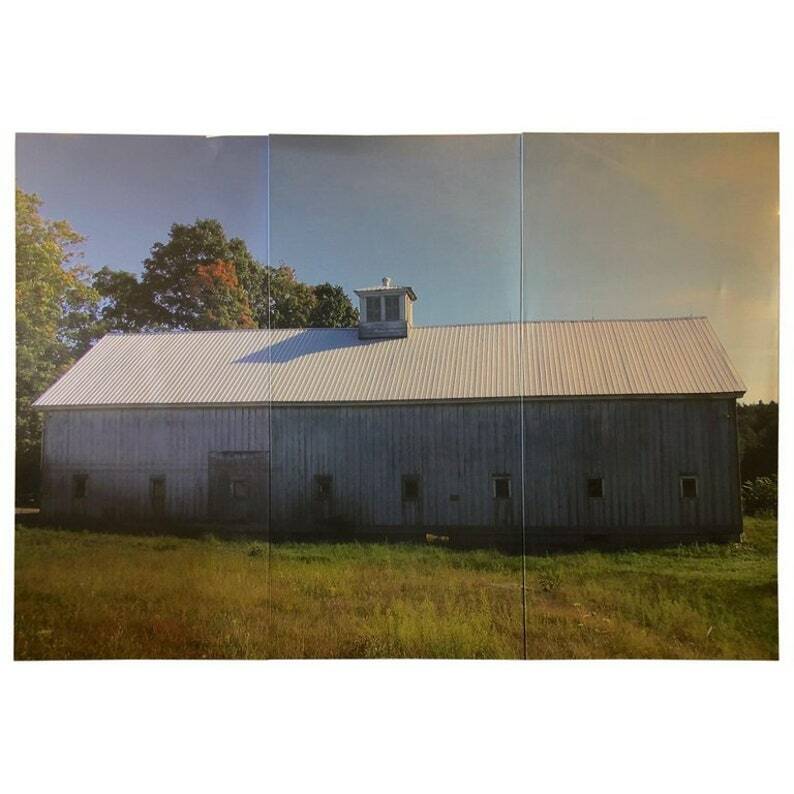 Photograph in triptych of a New England barn in early autumn. Dramatically oversized in 3 large panels showcasing a New England barn awaiting the promise of the fall harvest. Each of the three panels is 4 feet wide and nearly 9 feet high. The Scope of the three joined together is 12 feet wide by 9 feet high. Lightweight but sturdy and in sharp photographic resolution. The blue tones of the sky and barn against the fore and background of greens are striking and visually compelling. Resonant. A singular room divider, screen or encompassing wall art. Bring the outside pastoral world into your living room or restaurant. H 100 in. x W 144 in. x D 1.5 in.